As a documentary, Champs feels a bit punch-drunk—weaving from one idea to the next while never quite zoning in on any particular target for too long. For a while it focuses on the idea that boxing greats overwhelmingly come from seriously underprivileged backgrounds; later, it takes a brief detour into the idea that professional boxing is massively under-regulated compared to other sports; for a few minutes, it hits glancing blows about the sport’s health risks. But this is no activist doc about the downsides of the sweet science: Director Bert Marcus sometimes edges toward propaganda with his and his interviewees’ admiration for the sport. It’s mostly told through the eyes and words of three relatively recent champions: Mike Tyson, Evander Holyfield, and Bernard Hopkins, who have a staggering amount in common. 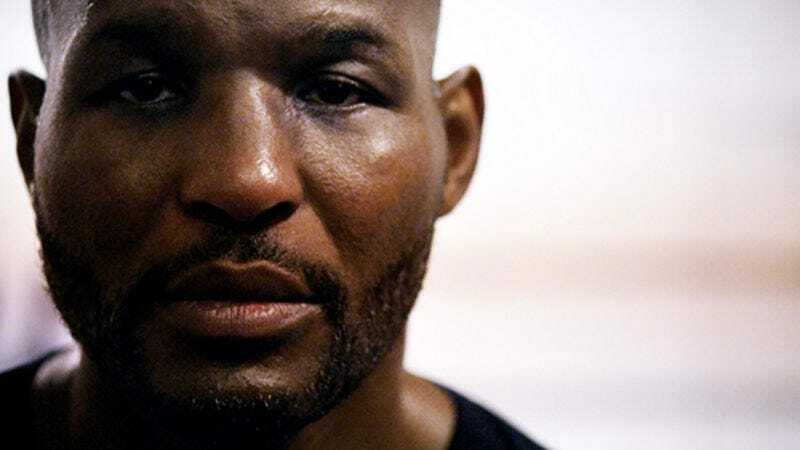 Each grew up at the bottom of the socioeconomic ladder, with Tyson and Hopkins crediting their time in confinement—Tyson in a boys home, Hopkins on the prison boxing circuit—for their eventual careers. 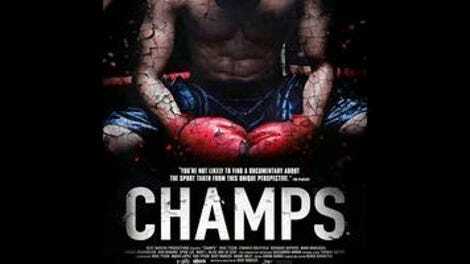 Champs takes some time to act as a quickie bio for each, skating over their career arcs with great highlights of important fights, from Holyfield graciously accepting an unearned disqualification at the 1984 Olympics to Tyson not-so-graciously biting Holyfield’s ear off during a famous 1997 bout. Each fighter gets time to tell his story, and each is candid and thoughtful (and in some moments regretful) about their histories. Tyson, like it or not, seems to be a changed man—humbled both by the loss of his fortune and, much moreso, the death of his 4-year-old daughter in 2009. There are moments in Champs that ask the viewer to sympathize with Holyfield and Tyson for their financial losses—they went from $200 million and $300 million to broke, respectively. It draws a throughline from their poverty to their inability to handle fame and fortune, which is fair though not exactly affecting: It’s tough to feel too bad when Holyfield’s $24 million mansion is foreclosed on, or when Tyson has to take sad, late-career fights because he blew his money buying Bengal tigers. Hopkins, who now works as a boxing promoter, makes a strong but very obvious case that yes, boxers should probably not trust their finances to boxing promoters, a notoriously crooked bunch. The few moments spent on regulation—or the lack thereof—in the professional boxing world lands a little better. Unlike in pro baseball or football, there’s nothing like a union for boxers, and very little oversight of their health. Boxing—as the various talking heads point out—is both the purest sport we’ve got and also one of the most dangerous. But while a football player who gets concussed during a game has a rigorous set of procedures to follow (not to mention a helmet to start with), a boxer is encouraged to fight until he’s literally unable to stand. The celebrity boxing fans who talked on camera for Champs—Ron Howard, Denzel Washington, Mary J. Blige, Mark Wahlberg, Spike Lee—are mostly reverent, though. No one questions boxing’s right to exist, in spite of its brutality. Champs would hit harder if it stayed on target, or at least picked one area to jab at. It succeeds most when it sticks to the massively interesting stories and careers of its stars, sprinkling those with edge-of-the-seat fight footage. (Holyfield’s interminable first title win, against Dwight Muhammad Qawi in 1986, should get its own documentary; you’ll feel bruised and exhausted just watching the few minutes shown here.) As a call to activism, there’s not much beyond the obvious: Boxing attracts the lowest strata of the socioeconomic spectrum; it’s potentially dangerous; for a sport that seems to bring in so much money, even in down times, it doesn’t treat its talent particularly well outside the very top earners. And when the bulk of the film is spent admiring these guys—and the sport itself—the other stuff plays like an afterthought, and it’s hard not to process and dismiss it as such.